Today it is my pleasure to welcome Syr Ruus to my blog to tell us about her brand-spanking new book, Krambambuli , A Memoir published by Inanna. I met Syr at the launching of A Maritime Christmas back in 2008 and we’ve shared many cups of coffee over the years while talking about writing and the business of publishing. Syr Ruus was born in Estonia and grew up in the United States, where she earned her MA degree in English, her MS in Education, and taught briefly at Illinois State University. She moved to Crescent Beach, Nova Scotia in 1969, where she taught Grade 3 in the local elementary school while raising her three children before turning her full attention to writing. Her short fiction has appeared in literary journals and anthologies. 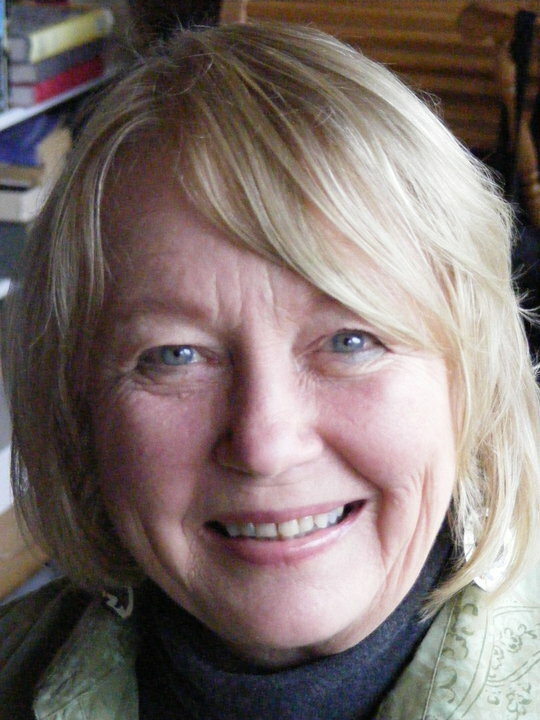 She has won two first prize awards from the Writers’ Federation of Nova Scotia and has published four books of fiction. A memoir of her childhood years as a refugee and an immigrant has just been released by Inanna Publications. A novella “Walls of the Cave,” will be published by Quattro Books in 2019. Krambambuli is a memoir of the author’s childhood experiences during and subsequent to World War II. She documents three stages of displacement due to war: escaping destruction in Estonia, living as a refugee in Germany and Austria, and beginning a new life as an immigrant first in the United States, and later in Canada. Krambambuli is not meant to be a historical account. Rather, it offers a child’s perspective of the situations and people making up her early existence: her handsome and charming father, Isa, who sweeps into her life at intervals but provides no financial support; her disciplinarian mother, Ema, an optimist and extremely competent survivor who uses her creativity to make even a small rudimentary space attractive and homey; the hated Onu Gusti; and the many others who pass through this transitory time dominated by war. 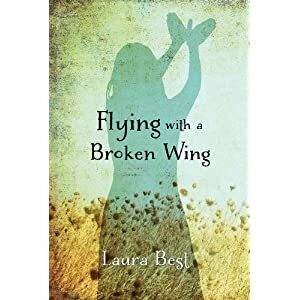 The book is a moving account of child’s experience in a camp for displaced persons and of growing up as a displaced child and daughter of a single mother in America. Totsu, the child, is terrorized by the war and the disruption and fears losing her mother’s love to a male lover and the possibility of being displaced by a half-sibling. She endures multiple new school and language situations and the added angst that being a displaced person can add to the life of a teenager. With such different personalities, she and her mother live their lives in both conflict, and in the knowledge that they are all each other has. Could you tell us a bit about yourself, when you first started writing, and what you have published? I am what might be considered a late bloomer, spending the first half of my life reading rather than writing. Perhaps this was because English is not my native language and it took that long to become confident enough to even consider that I too could enter that hallowed fellowship of writers. 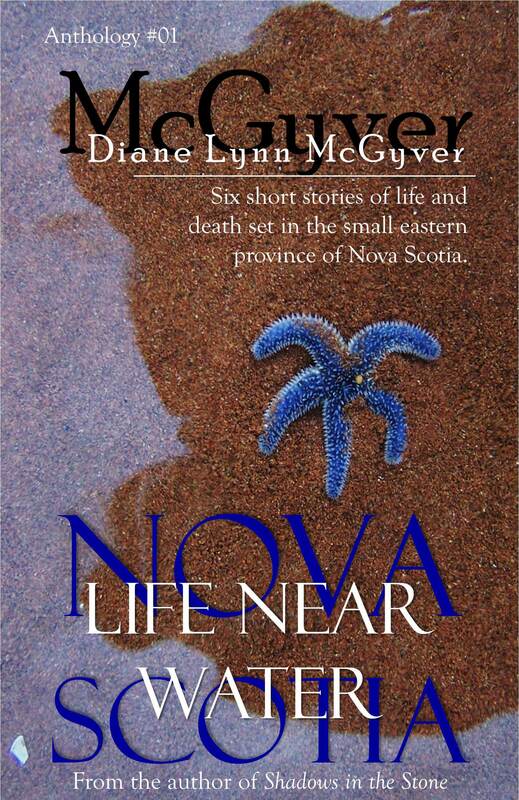 There were the inevitable rejections of course, but also a couple of first prizes for unpublished manuscripts from the Writers’ Federation of Nova Scotia, a few short stories accepted and some positive comments from editors which provided sufficient incentive over the years to keep me going. My first published book was “Lovesongs of Emmanuel Taggart” (Breakwater, 2009). Subsequently I self-published three regionally- based works of fiction: “Devil’s Hump” (1913), “The Story of Gar” (2014), and “In Pleasantry” (2016). Your upcoming book is a memoir. Why was it important to tell your story? People have asked me why I make up stories rather than telling my own. There are a few reasons for this. First, I still believe that fiction reveals the greater truth (except for genre fiction, which generally follows an established formula), for it gives expression to a writer’s unique vision. Thus I believe all fiction is, in a sense, autobiographical. Memoir writing, on the other hand, reveals selected factual material about the writer’s life, yet we all know that each individual perceives reality differently and there can be bitter arguments about what really occurred, or sometimes if it actually happened at all. Another reason I found it difficult to write meaningfully about my past was because World War II has been written about so extensively by so many others. Millions lost their lives and suffered unbelievable atrocities. Within this context, my experience seemed trivial. Finally, however, I began to approach it in a different way: not relating my life as a part of history but examining how historical eventsaffected me as an individual growing up—as a refugee and as an immigrant. Unbelievably, there are still wars, refugees, and immigrants. This book is dedicated to every person who has been displaced by war. Krambambuli is an unusual title. What is the significance of the title and exactly what does it mean? Krambambuli is an alcoholic beverage that was popular in Germany in the 18th century. It was also a drinking song among university students. My native country, Estonia, was occupied by various foreign powers for hundreds of years. In fact its independence lasted for only 20 years before it was annexed by the Soviet Union in 1941, to be liberated again fifty years later. Before World War I, it was under Russian rule, but controlled by Germans who owned most of the land and businesses. The song was translated from the German and sung by Estonians. Although I never tasted the brew, I enjoyed singing about it as a child. I love the cover of the book. Explain a bit about the images on the cover? The cover was designed by Val Fullard. The photograph depicted is of the author (me) at eight years old, wearing an Estonian national costume that my mother created from whatever she could find in the refugee camp in Augsburg, Germany, where we lived for four years. It was taken to be sent to America hoping we could find sponsors in order to emigrate. The belt is representative of Estonian design. Your previous publications were fiction. What were some of the challenges you faced in writing this memoir and how long did it take to write? The major difficulty with writing a memoir is that you involve the lives of others who undoubtedly have different opinions and views and memories. I did change the names, which of course doesn’t hide the identity of close family members. I have very few relatives and I did send the first draft of the manuscript to my half-sister to make sure there was nothing there to offend her. Much of the book deals withmy relationship with my parents as affected by the war. My father died some years ago. My mother, however, lived to be 102. Although she always read everything I wrote, I did not want to share the memoir with her for it would inevitably provoke some distress and argument. Thus, although I began writing it about fifteen years ago, I did not send it out for publication until 2016. By that time it was revised numerous times. What is new on the horizon for author Syr Ruus? Is there anything else we should know about the book? “Krambambuli” will be launched at the LaHave River Bookstore on Sunday, October 28, at 4 p.m. This bookstore has been such a wonderful addition to our community. It is not only a beautiful place to browse among new books, used books, and even a shelf of freebies—it also offers a welcoming place to share thoughts about literature and to meet other people who love to read. I try to visit as often as possible to refresh my spirit. Although closed during the weekdays in winter, it will be open every weekend. Thank you so much, Laura, yet again, for this opportunity to talk about my writing. There are very few things—perhaps none–that an author finds more gratifying. Today, it is pleasure to welcome author Syr Ruus to my blog. As both a traditionally and self-published author, Syr has kindly agreed to share her thoughts on this with us. Syr Ruus was born in Tallinn, Estonia during the Second World War. As a small child, she escaped with her mother to Germany and subsequently immigrated to the United States. She has an MA in English and MS in Education and taught in the English Department of Illinois State University. 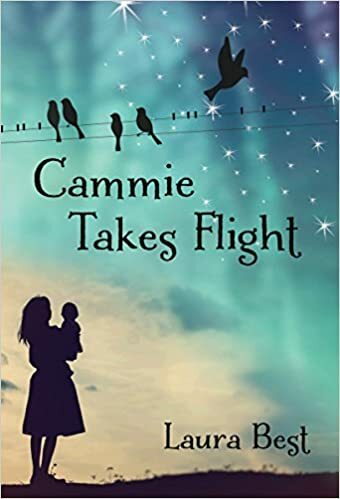 She has lived in Crescent Beach, Nova Scotia since 1970, formerly working as an elementary school teacher while raising her three children and currently devoting herself full-time to writing. Her short fiction has appeared in anthologies and journals and in 2009 her novel “Lovesongs of Emmanuel Taggart” was published by Newfoundland’s Breakwater Press. I have always loved books. I became a reader at three. More than thirty years later, I became a writer. Why did it take so long, you might ask? Perhaps because English is my second language, or maybe I felt that I didn’t have anything worthwhile to say. Once I started, however, I never stopped. Publishing, of course, is another matter. People say it’s extremely hard to find a publisher these days with things being as they are. I know from personal experience that it has always been hard. It’s even difficult to find places to send a manuscript. Only small publishers accept unsolicited queries. If anyone does offer to take a closer look, it takes many months, even years, before a decision is reached. Often you hear nothing at all. Not that this is altogether bad. It gives a writer a chance to reflect. After the first flush of enthusiasm, one can make some meaningful revisions. Sometimes, along with a rejection, there is feedback. I have read in a manual for writers that when you finish a novel, it should sit in a drawer for at least two years before you begin working on it again. A bit extreme, maybe. Yet often it sits that long in a slush pile on some junior editor’s desk. There does come a time, however, when a work is definitely ready. Finished. Done. Only a few final perks and tweaks could make it any better. Or perhaps not. Still no one has offered to publish it. The wonderful news is that it has become more acceptable than ever to do it yourself. Even the Writers’ Union of Canada has recently voted to accept self-published writers. I was lucky. A smattering of my short stories appeared in Journals and anthologies. 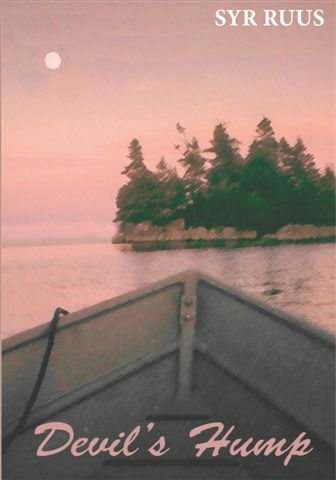 After my novel Lovesongs of Emmanuel Taggart received first prize in the Writers’ Federation of Nova Scotia annual competition, it was published by Breakwater Press in 2009. This gave me a much needed boost and sufficient confidence to actually begin referring to myself as an author. “I do think you should be able to find a publisher for this,” she added. So, like The Little Red Hen, I did it myself. Devil’s Hump was published in 2013 by etc. Press, Halifax, N.S. The first novel I ever wrote also received an award from WFNS. In 1994, Edgar was the winner in the juvenile novel category. After some years, I decided to incorporate the original story which concerned a pet crow within an adult novel about the family which raised it. As such it was shortlisted for the Ken Klonsky Novella Award, yet despite positive comments from various publishers, no one was prepared to take it on. Just a few months ago, The Little Red Hen did it again. The Story of Gar was published in December, 2014. Each of our voices is important to our collective humanity. Those that have spoken to me in the books I have read over the years have enriched me beyond measure. Our writing preserves a personal vision of a world which is constantly changing. The characters we have created with such loving care deserve a chance to sit on a bookshelf and perhaps come to life in someone else’s mind also. It’s every writer’s dream to be published, but you can’t wait around forever. Sometimes you have to do it yourself. It’s exciting to prepare one’s work for print: to choose the paper, to select the font, to format the pages, to decide on a cover, to be in full control from beginning to end. This includes promotion, of course, which these days is increasingly left up to the author, but which publishers certainly facilitate. Lovesongs of Emmanuel Taggart is available in bookstores all over the world (as I see when I Google myself). It was also reviewed in various newspapers and was submitted to contests which I cannot access as a self-published author. Since both of my independently published novels have a regional content (as does In Pleasantry, a collection of connected short stories, which I plan to publish next), shops in the area are willing to take a few copies on consignment. The books are printed in limited editions; the cost goes down as the number goes up. Being a diffident self-promoter, I am mainly depending on word-of-mouth for any future sales, and with luck, I may get back what I spent. But as writers, we know that we don’t do it for the money—we do it for love. Thanks so much, Syr, for sharing your thoughts and your wisdom. I hope that In Pleasantries will find the same success as your other novels. I am looking forward to reading your next literary offering. Local Fiction for the Adult Reader in you. Last week I made a few suggestions of books to buy for the young (at heart) person on your list, but I really think it’s only fair that I mention some homegrown adult fiction books this time. 1.Devil’s Hump by Syr Ruus. I have my own signed copy of this book that I shall treasure forever. The book can be purchased at Coles in Bridgewater, the Lahave Bakery, the Riverhouse in Petite Reviere or directly from the author- Syr (at)eastlink.ca . The winter of 1921 turned bad for all the Islanders, bringing one unexpected thing after another… beginning with the -quarantine, then the discovery f the deaths of the entire Ross family, followed by the fire and the acquittal of the Turnbull brothers. The storm of talk hadn’t even reached full crest, when a new development ensued. Devil’s Hump depicts the unique and disappearing culture of a maritime island community. It tells the story of Aaron Ross who, in spite of devastating circumstances, is able to survive alone on a small secluded island. But more than this, it celebrates the power of the human imagination which can shape our lives and make even the most difficult situations bearable. 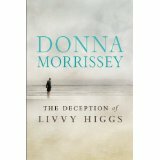 2.The Deception of Livvy Higgs by Donna Morrissey. I also have a signed copy of Donna’s book . For two traumatic days, Livvy Higgs is besieged by a series of small heart attacks while the ghost of her younger self leads her back through a past devastated by lies and secrets. The story opens in Halifax in 2009, travels back to the French Shore of Newfoundland during the mid-thirties and the heyday of the Maritime shipping industry, makes its way to wartorn Halifax during the battle of the Atlantic in World War II, then leaps ahead to the bedside of the elder Livvy. 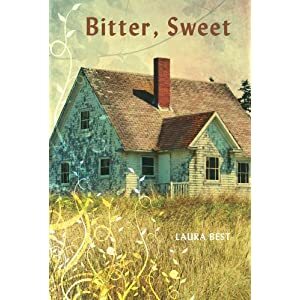 Caught between a troubled past, and her present and worsening living conditions, Livvy is forced to pick apart the lies and secrets told by her greedy, prideful father, Durwin Higgs, who judges her a failure, and her formidable Grandmother Creed, who has mysteriously aligned herself with Livvy”s father, despite their mutual hatred. Tending to Livvy during her illness is her young next-door neighbor Gen, a single mother and social-work student. Overnight, a violent scene embroils the two in each other”s lives in a manner that will entwine them forever. In The Deception of Livvy Higgs, the inimitable Morrissey has written a powerful tale, the Stone Angel of the East Coast. 3.The Virgin Cure by Ami MacKay Set on the streets of Lower Manhattan in 1871, The Virgin Cure is the story of Moth, a girl abandoned by her father and raised by a mother telling fortunes to the city’s desperate women. One summer night, twelve-year-old Moth is pulled from her bed and sold as a servant to a finely dressed woman. It is this betrayal suffered at the hands of her own mother that changes her life forever. Knowing that her mother is so close while she is locked away in servitude, Moth bides her time until she can escape, only to find her old home deserted and her mother gone without a trace. Moth must struggle to survive alone in the murky world of the Bowery, a wild and lawless enclave filled with thieves, beggars, sideshow freaks, and prostitutes. She eventually meets Miss Everett, the proprietress of an “Infant School,” a brothel that caters to gentlemen who pay dearly for “willing and clean” companions—desirable young virgins like Moth. Moth also finds friendship with Dr. Sadie, a female physician struggling against the powerful forces of injustice, who teaches Moth to question and observe the world around her. The doctor hopes to protect Moth from falling prey to a terrible myth known as the “virgin cure”—the tragic belief that deflowering a “fresh maid” can cleanse the blood and heal men afflicted with syphilis—that has destroyed the lives of other Bowery girls. Ignored by society, unprotected by the law, Moth dreams of independence. But there’s a high price to pay for freedom, and no one knows that better than a girl from Chrystie Street. 5. 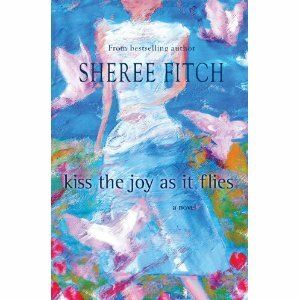 Kiss the Joy as it Flies by Sheree Fitch. Oh yes, this beloved children’s writer also writes for adults. Panic-stricken by the news that she needs exploratory surgery, forty-eight-year-old Mercy Beth Fanjoy drafts a monumental to-do list and sets about putting her messy life in order. But tidying up the edge of her life means the past comes rushing back to haunt her and the present keeps throwing up more to-dos. Between fits of weeping and laughter, ranting and bliss, Mercy must contemplate the meaning of life in the face of her own death. In a week filled with the riot of an entire life, nothing turns out the way she expected. Again, I’ll ask for any suggestions you might have to add to my list. My hope is that these two posts will encourage you to check out these books and to think about supporting the local authors in your area. Many of us talk about “buying local” it’s only natural that it should apply to books!